#TVisCOOL: 16-Year-Old Girl Sings Most Difficult Opera Song Ever, Nails It! 16-Year-Old Girl Sings Most Difficult Opera Song Ever, Nails It! 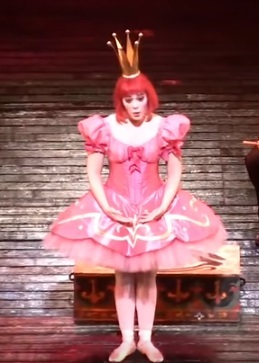 16-year-old Rachele Gilmore sings The Doll Song from The Tales of Hoffmann. She was an understudy for Kathleen Kim in the role of Olympia in the opera. She only had a four hours' notice that she would sing that night. She ended up singing a High A-flat, the highest note to have ever been sung at the Met.